These are a little smaller than our regular Mally Mocs baby moccasins and they typically fit newborn up to to 3-5 months. They make a lovely newborn keepsake after baby outgrows them! 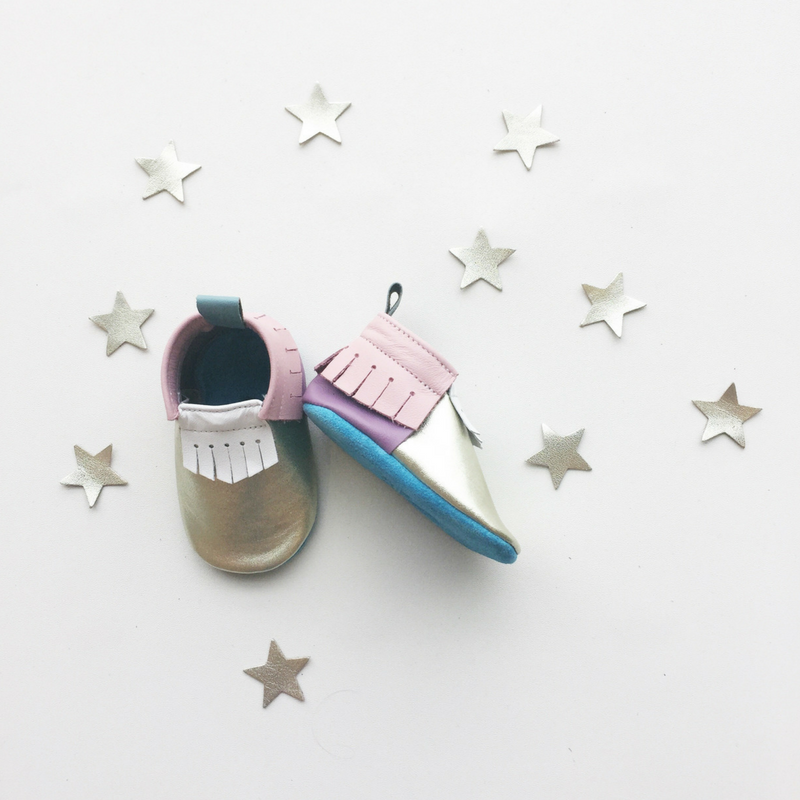 We love that they are unique from all of our other moccasins, as they are made up of different finishes and colors of leather including our super arctic blue lux suede, shimmery gold metallic and seashell, iceberg, lilac and snowflake. These coordinate with all other items in our Touch of Gold Collection.